I shot this with my Acer Android phone. 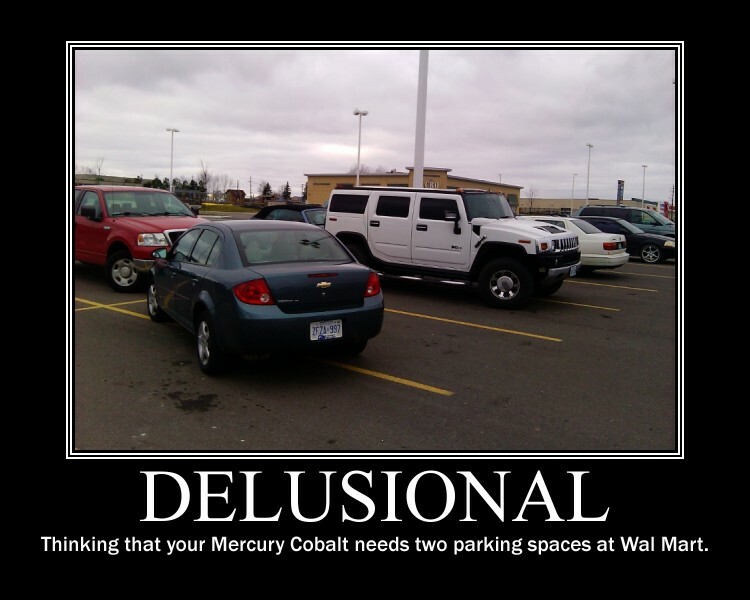 It is a Mercury Cobalt of indeterminate age diagonally parked in two spots of a Walmart parking lot. I found it very funny. 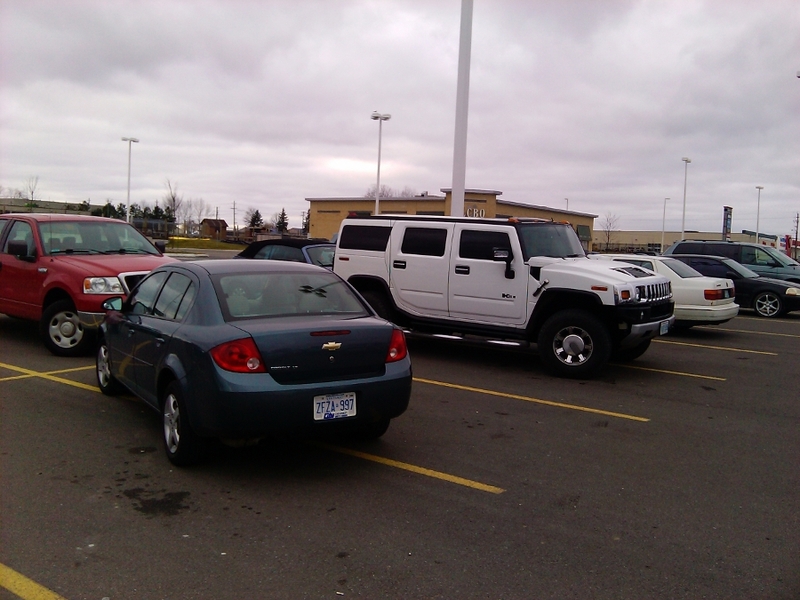 The parking arrogance is also accentuated by the fact that the Hummer is parked perfectly. It seems like really low rent bad parking to scratch proof your low rent car at the temple of low rent purchases. At least it led to some amusing Demotivational attempts. This just had me laughing OUT LOUD at my computer…you are REALLY funny!!!! Thanks for the endorphin boost! where do you get those ‘delusional’ and ‘moron’ labels? is this just available on some photoshop program or is there some web site that lets you do this? What were you doing at WalMart?? 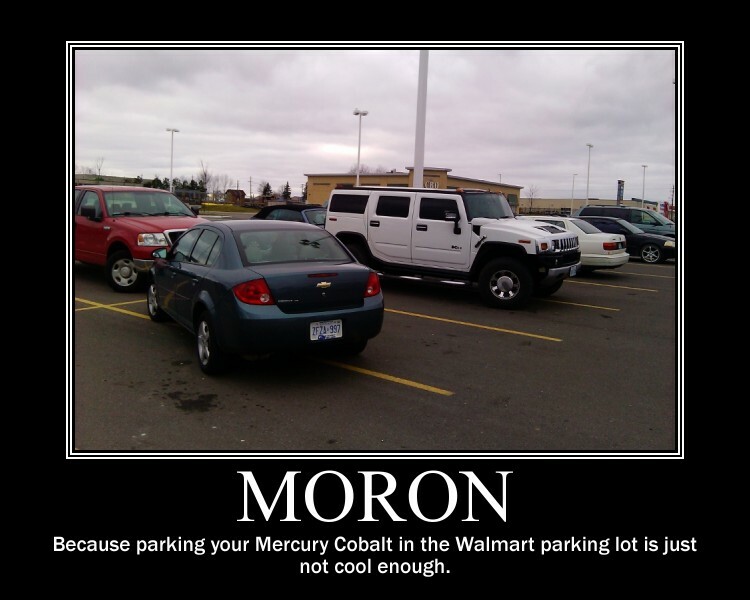 It’s a Chevrolet Cobalt. Chevrolet is a GM brand, Mercury was a Ford brand but is now defunct. Moron. Its a Chevy Cobalt. See the bow tie emblem on the decklid?